This week for Anime Sunday I’m back with another Winter 2018 series. It’s my Hakata Tonkotsu Ramens Episode 01 Impressions! Plot: The plot is pretty interesting, although it really felt like I was watching a rather messed up version of Baccano at times. That being said I don’t recommend any kids watch this series, as it’s absolutely not for them. The subject matter is incredibly dark, so dark that I won’t actually continue to watch the series. It’s not that the plot is bad mind, it’s just that I dislike watching such dark series if I don’t have. Luckily for me, I don’t have to watch anymore so I won’t. Characters: Our main character seems to be Banba Zenji and he’s a fairly interesting guy. The other lead, Lin, is also fairly interesting if only for his interesting disguises. The rest of the cast is also really interesting. Artwork: It’s not amazing, nothing like a ufotable production, but it’s not terrible either. A bit better than average I guess, but only just a bit. Music: The music is okay, but not super memorable either. Overall: A good series, if incredibly dark. For those who like: Mystery, Dark Stories, Good Plots, Great Cast of Characters, Good Artwork and Musical Score. Not for those who don’t like” Any of the above, especially the Dark Stories part. 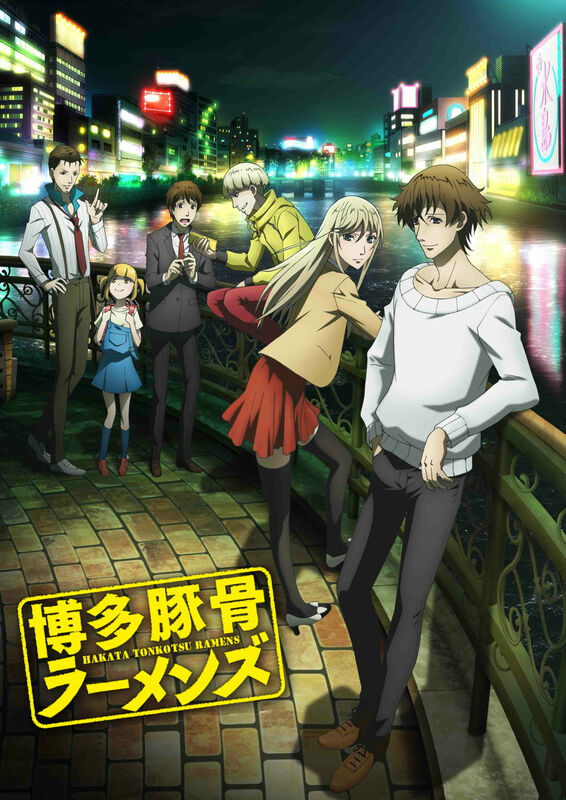 Tagged Action, Anime Sunday, Assassins, Baccano, Drama, Episode 01 Impressions, Hakata Tonkotsu Ramens, Hakata Tonkotsu Ramens Episode 01 Impressions, Hitmen, Killers for Hire, Mystery, Redrum Inc.
It’s interesting that while this show does have some incredibly dark subject matter, the show itself isn’t that dark. The cast keep everything fairly level and are for the most part fairly upbeat which has been demonstrated in the most recent episode when two hit men are discussing their most recent attempt to kill each other when the met in a batting cage and they use a whole bunch of baseball terminology. That said, the subject matter is pretty dark and there’s definitely quite a bit of murder going on over the course of the series. I am however looking forward to seeing how this one ends. Personally after the events of the second episode I lost all interest in continuing the series. The events that occurred were just way too dark for me to consider watching. But yes the cast does make up for the really dark subject matter. I don’t think things have been as dark as that ever since though I won’t deny that the second episode probably put a few viewers off.